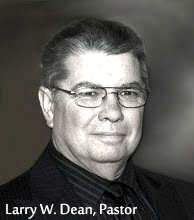 Preacher: Larry W. Dean (175), Wayne Camp (3), Revival (1). Service: Sunday Morning (166), Convocation2016 (4), Convocation2019 (3), Midweek Meeting (2), Special event (2), Sunday Evening (2). Jude 1:4 (Part of the Featured series). Preached by Larry W. Dean on February 21, 2019 (Convocation2019). Preached by Larry W. Dean on February 20, 2019 (Convocation2019). Psalm 107:1-43 (Part of the Featured series). Preached by Larry W. Dean on February 19, 2019 (Convocation2019).